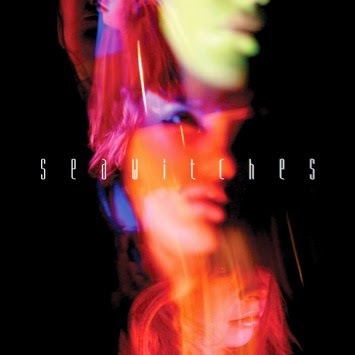 SeaWitches are a four piece from Liverpool, and this is their latest single Stars. I do wonder how witches can survive under the water for so long especially if they all come with their own cats but nevermind; maybe they have tiny cat snorkels or something. I’m very tired today. Stars has a wonderful dreary quality to it while also managing to sound really bright and lovely too. Much like the usual night sky, it’s a bit dark but once you begin to think about all the things that can be existing inside the atmosphere then it all gets a little personality and spirit to it. It’s beautiful, and SeaWitches depict it brilliantly with this track. Its wonderful melodies combined with a speedy poppy drum beat create something that I wanna listen to for the rest of my life. It’s great. This is a wonderful little tune that grabs ambition by the mouth and kisses it with all its might. Stars is brilliant. Stream the track below, and for more music reviews, free downloads and kisses on the mouth check out Exploding Head Syndrome on Facebook and Twitter.